Starting up a new technology company with new ideas may be easy but to compete in your niche market is a difficult task. You have to be on your toes to understand changing marketing circumstances to compete successfully. 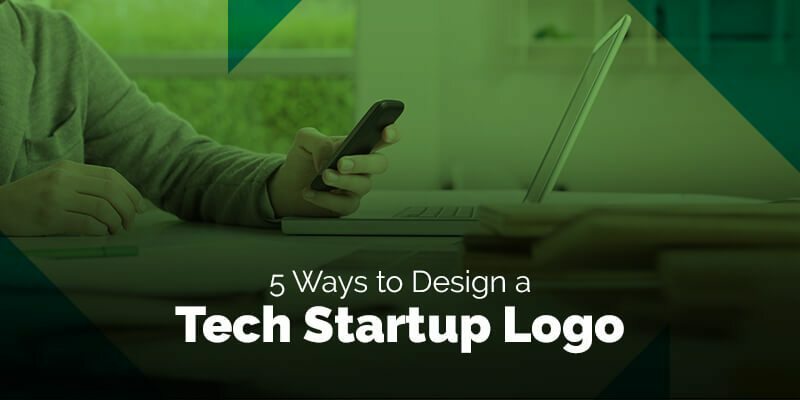 But if your tech startup logo is an attractive symbol worthy of representing your business, then taking your business to target customers becomes a lot easier. Your tech start logo works in a varied way to enhance market presence of your newly established business. The logo becomes your symbol to identify your business in markets and it helps in building your brand identity. However, remember that only an impressive logo design can help in driving people to your company and business. So, here are valuable tips that you must keep in mind while designing your tech startup logo. Stay Away From Clichéd Imagery – One of the biggest mistakes many logo designers make is that they indulge in wrong practice of incorporating clichéd symbols or imagery. Instead of designing own product images or symbols, they tread a beaten path of bringing stock images into the design. But these borrowed images leaves a negative impression on viewers about your start up technology company. Get Hints From Company Name – When thinking of some unique tech startup logo design idea, picture your company name. See if you can create some symbol and imagery out of your company name. For example, CityCliq logo depicts online business pages using a hand cursor showing clicking and a cityscape. Similarly, Soundcloud logo design shows images of storing music. Add Some Fun Elements – A funny logo will not make your tech business look less serious in the eyes of viewers. But by adding some quirkiness to your tech logo design, you will make it memorable and interesting. Take your time to brainstorm on how to portray your new tech business and company amid people so that they find the image a little interesting and exciting. Try Superhero Logo – Superman, Batman and Wonder Women may be fictional characters but they are now symbol of accomplishing exceptional tasks. So, try creating your tech logo that looks like a superhero emblem. A superhero tech logo design is also your great way to convince the customers that your tech company is about solving their tech issues. Twitterize Your Logo – Many startups take inspiration from Twitter logo for designing their logos. You can also try designing your tech startup logo keeping in mind characteristics of Twitter logo design. Instead, come out with fonts that look like twitter font. You can borrow from chief features of the social channel’s logo design such as rounded and highly legible fonts and other characteristics. These vital tips will help you in making your startup tech logo design unique so that it stands out in conveying your business message.